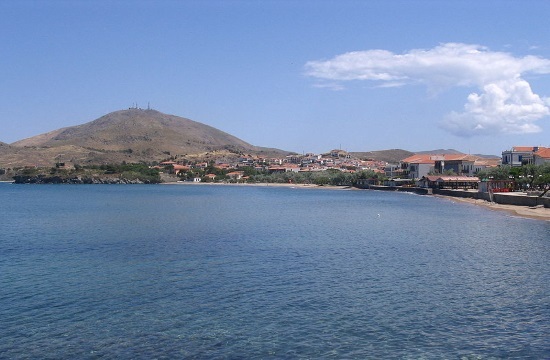 The Greek island of Lemnos lies on the northern part of the Aegean Sea and stays away from mass tourism, due to its long distance from Athens, greekcitytimes.com notes in the following travel report and adds that the island is a destination for peaceful holidays and for alternative experiences. The article focuses on "Taste Lemnos" which is more than a typical online travel agency. Besides finding hotel accommodation, plane and ferry tickets and car rentals, guests will find a variety of activities; they will taste Lemnos in many and different ways. The agency organizes Wine and Cheese tastings since Lemnos is popular for its wine and its delicious local cheeses. Guests try different Lemnian wine varieties, along with four different cheeses, they learn about their unique characteristics and how to pair these products. Taste Lemnos also offers is the Sunset Picnic. People will visit the Chapel of St. Marina, a peaceful location, from where they will enjoy breathtaking views of Moudros Gulf. Then, they will be treated to local delicacies, cheese, cold cuts and various mezes along with local wine. Furthermore, the agency offers Pottery Classes as well, Horseback Riding and Trekking adventures. Staying true to its name, it’s all about ‘tasting’ Lemnos, it’s all about experiencing unique activities with the locals. Consequently, if you are looking for peaceful holidays, away from mass tourism and if you are curious to discover untouched places and authentic people, then Lemnos is the island for you.